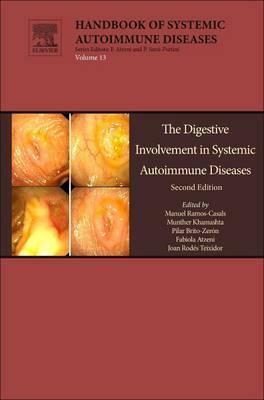 The Digestive System in Systemic Autoimmune Diseases, Second Edition, represents the state-of-the-art in the field of digestive disorders in the most common systemic autoimmune diseases. This volume consists of an introductory chapter on imaging techniques in digestive diseases, followed by eight chapters on digestive manifestations in specific systemic autoimmune diseases. The final five chapters deal with digestive diseases with an autoimmune pathogenesis and systemic manifestations. International in scope, the table of contents reads like a Who’s who in clinical research on systemic autoimmune diseases. More than 20 contributors from the European Union, the United States, Mexico, and South Africa share their knowledge in this detailed volume. The book provides an overview of our current understanding of digestive disorders in the most common systemic autoimmune diseases.